The Supreme Court has a chance to keep the Fourth Amendment from going to the dogs. Today it agreed to hear the case of Florida v. Jardines, in which it will decide whether police can use a drug-sniffing dog at the front door to a residence when they suspect the occupants of a drug offense but don't have a warrant. The constitutional issue at stake is whether police must have probable cause — a belief that evidence of a crime will be found — before they may use a dog sniff at the front door of a suspected “grow house,” or a site where marijuana is being grown. The case grows out of a Miami police officer’s use of a drug-detecting dog, “Franky,” in December 2006 to follow up on a “crime stoppers” tip that the house was being used to grow marijuana plants. 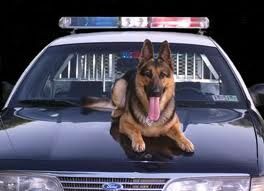 The Florida Supreme Court ruled that police needed to have a probable cause belief in wrongdoing before they could use the dog at the home, on the premise that the drug sniff was a “search” under the Fourth Amendment.